Danielle Jarvis - Virginia - Book a consultation instantly! 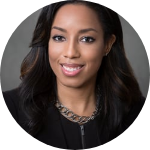 Danielle N. Jarvis joined our firm in January of 2016. 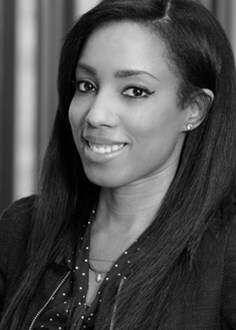 She is licensed to practice law in Virginia and Texas. Her practice focuses on various matters including estate & gift taxation, estate planning, wills, trusts & estate administration, fiduciary litigation, and Virginia School Law. Before joining the firm, she worked for a school division in Hampton Roads as a Compliance Officer. Her responsibilities included serving as the division’s lead investigator for complaints of unlawful discrimination and corporal punishment; representing the Superintendent in employee grievance hearings before the school board; representing the division in unemployment hearings before the Virginia Employment Commission; consulting with administration on student suspension/expulsion hearings; and coordinating the division’s risk management program. Ms. Jarvis is a graduate of William & Mary School of Law. While in law school, she assisted in providing legal aid to clients. While working for the Elder Law Clinic, she gained experience drafting wills, medical directives, and other estate planning documents. Ms. Jarvis is also active in her community. She presently serves as a teaching assistant for the childrens’ ministry in her church. She is also committed to giving back to her community and regularly volunteers for various non-profit agencies.